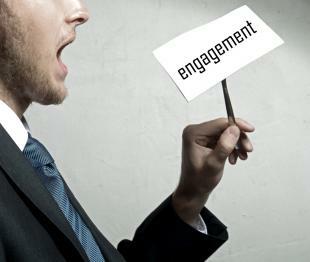 According to a 2014 Gallup study on employee engagement, only 31.5% of American workers are engaged at work. This means that the vast majority of the American workforce is neither enthusiastic about work nor committed to the workplace. Despite controversy surrounding Gallup’s annual reports, understanding and increasing employee engagement is imperative as engagement is closely tied to motivation and involvement. Being entrusted with the freedom to work individually can be liberating. Also, having the opportunity to be able to organize and schedule one’s own time can be empowering and bring about a sense of pride. For some, working in positions which stifle the ability to work alone can be a significant source of frustration. Giving employees more control over their assignments and activities can help increase engagement. Getting stuck with the same mundane task can be draining. Giving employees the opportunity to complete a diverse set of activities can increase engagement and positively challenge an employee with a new task. Also, in terms of professional development, being able to gain more exposure to different facets of the company can help in determining and developing professional interests. People like to do work that is meaningful. No one likes doing busy work and no one enjoys doing work that produces no reward or benefit. It can be a rewarding feeling to be able to see work completed from beginning to end and to have it positively affect others. Reminding employees of the value their actions add to the company can instill a sense of gratification for knowing that their work actively contributes to a greater cause. Although receiving constructive feedback can be difficult, receiving feedback can help an employee make improvements and better decisions. Especially in situations where recognition is not normally given, feedback can be a beneficial resource to make employees feel valued. It can also encourage employees to feel more of a sense of ownership and to be more actively engaged in certain activities. Working with other people can help create a sense of camaraderie. Being immersed in a group with diverse skillsets can make working in a team setting more engaging. Working with others can also create a system of accountability in which employees can feel more actively involved in work activities. Motivating employees is important and it starts with engagement. OpenSesame offers a variety of courses to help your business get started. Source: Livne-Tarandach, Reut. “Managing Organizations.” Managing Organizations. University of Oregon, Eugene. January 2015. Lecture.